Today in Brussels all political leaders of the 28 member union will gather for a two day summit which will discuss two key issues: the new relationship of the EU with the United States under its leadership of President Donald Trump and, more importantly, the widening divide between its member states on how to handle the topic of illegal immigration. 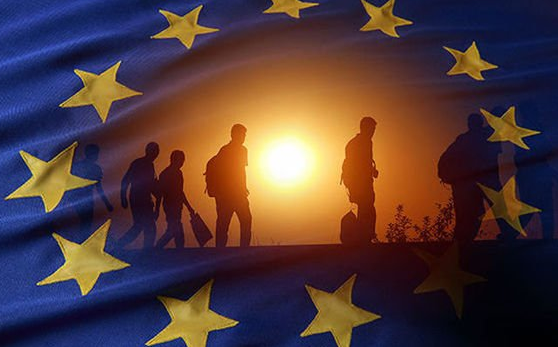 Although the US may have overtaken Germany as the number one country where illegal immigrants want to end up, Europe as a whole still received immigrants (mostly from Africa and the Middle East) in greater numbers in the past few years. Many voters have voiced their dissatisfaction over the EU’s policy on this topic in recent elections. EU Commission President Mr Jean-Claude Juncker warned at the start of the summit that "the fragility of the EU is increasing. The cracks are growing in size." What he is pointing at is the growing dissatisfaction with the immigration plan set forth by German Chancellor Ms Angela Merkel in 2015 to ‘open the borders’ in view of the large stream of migrants trying to escape the then battlefields of Syria and Iraq. With both those countries now being relatively safe again, and after a refusal by many of the Balkan countries to let immigrants in, Ms Merkel held steadfast and refused to budge, resulting in a devastating loss at the polls for her party in Germany’s election last year. Now, with a populist government in Italy keen on refusing migrant ships coming in from Libya, Austria having elected a young Prime Minister who chooses to govern with the far right and the Visegrad group of countries (Hungary, Poland, the Czech Republic and Slovakia) refusing to let any migrants in anymore, Ms Merkel is under pressure (even from within her own ranks) to come up with a counter plan. Her own influential Interior Minister, Mr Horst Seehofer, said it in no uncertain terms: "By the end of this Brussels summit, you need to come home with a workable pan-European solution to stop irregular migrants bleeding into Germany. Or I will unilaterally slam Germany's borders shut."